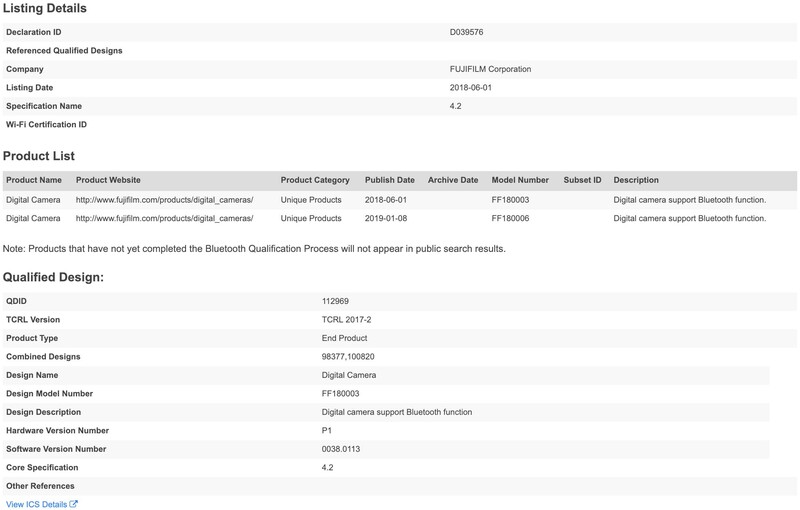 Fujifilm registered the FF180006 that is likely the new Fujifilm X-T30. Nokishita found the newFF180006 registration at bluetooth.com. It has the same Bluetooth as the Fujifilm X-T3 and probably more. We should know more soon. This entry was posted in Fujifilm X-T30 and tagged Fuji Rumors, Fuji X-E4, Fuji X-Pro3, Fuji X-T30, Fuji X200, Fuji XE4, Fuji XPro3, Fuji XT30, Fujifilm, Fujifilm Rumors, Fujifilm X-E4, Fujifilm X-Pro3, Fujifilm X-T30, Fujifilm X200, Fujifilm XE4, Fujifilm XPro3, Fujifilm XT30, FujifilmRumors, Fujirumors. Bookmark the permalink. Trackbacks are closed, but you can post a comment.